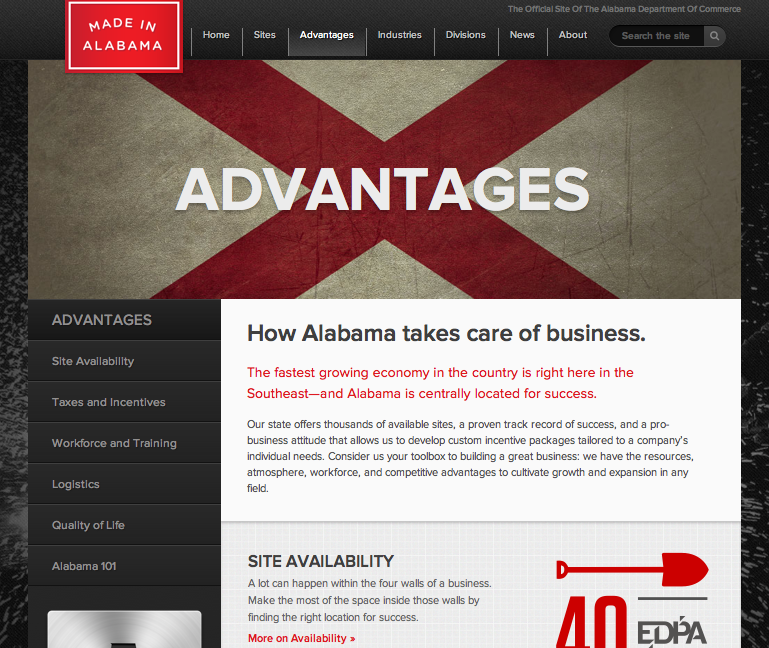 Researched and developed copy for Made In Alabama, the official site of the Alabama Department of Commerce. 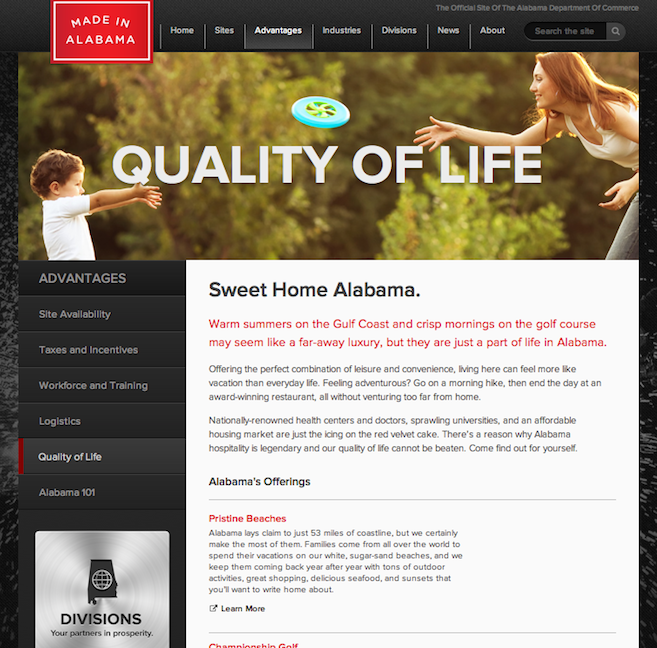 In 2014, the site won a gold Addy in Birmingham for Digital Advertising, Website B-to-B Services. 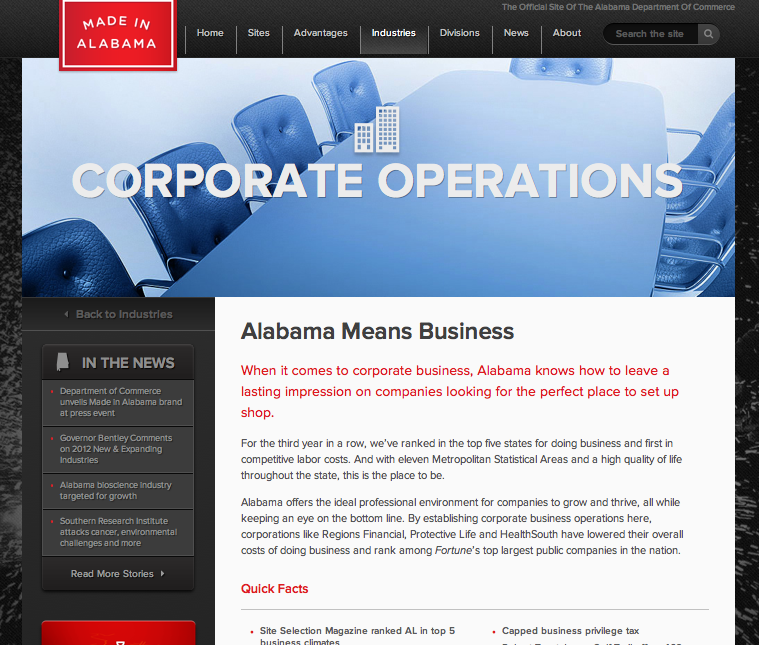 Pages written include: Corporate Operations, Advantages, Food Products, Chemicals, and Distribution.